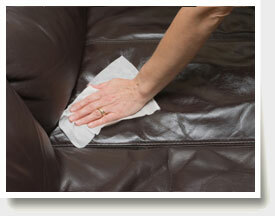 Lindsey's Carpet & Tile Care offers professional Tucson Upholstery Cleaning and Leather Cleaning & Conditioning. We are IICRC (Institute of Inspection Cleaning & Restoration) Certified and professionally trained to clean, rejuvenate, and care for all types of upholstery, fabric, and leather. Our upholstery, fabric, and leather cleaning and rejuvenation service provides our customers with high quality, thorough results. We take the time necessary to clean and rejuvenate your upholstered furniture using high quality cleaning, rejuvenation, and protection products. Lindsey's Carpet & Tile Care not only provides our customers with Tucson Upholstery and Leather Cleaning, but also specializes in Tucson Carpet Cleaning and Tile & Grout Cleaning and Restoration. Next to purchasing a home or vehicle, furnishings are one of the biggest investments a consumer will make. Lindsey's Carpet & Tile Care understands this aspect well, as we are also consumers and at some point, like everyone else, in the market for fine furnishings. In time, like the carpet in our homes, upholstery and fabrics collect contaminants. These contaminants affect the cleanliness, appearance, and health of the upholstery and fabrics. They can also cause premature wearing and staining of the piece. Lindsey's Carpet & Tile Care is certified and expertly trained as a Tucson upholstery cleaner and we remove these contaminants and bring your furniture to a more beautiful and healthy state. Leather needs to be cleaned and conditioned. Many consumers buy and are sold leather furnishings with the impression that it is a hands off purchase. No cleaning, no worries. This can't be further from the truth. Whether you are the proud owner of Protected leather, Aniline leather, or Nubuck leather, all leather should be cleaned and protected regularly to avoid organic and inorganic substances such as oil, soil, food, makeup, ink, grease, newspaper print, and blue jean dyes from permanently embedding into the leather. Leather exposed to sunlight needs to be cleaned and protected more often to prevent oils from excreting from the leather, causing drying and cracking. Lindsey's Carpet & Tile Care uses leather products to expertly care for your leather pieces. Upholstery and Fabrics, as with carpet, should be cleaned and protected every 6 to 12 months, depending upon use and whether or not you have pets, children, allergies and/ or asthma. It is recommended that leather be cleaned and protected every 6 months to avoid drying and cracking and to keep it looking and feeling like new.